Corbin Clouse does not have any MLB stats for the season. Draft: 2016, Atlanta Braves, 27th rd. 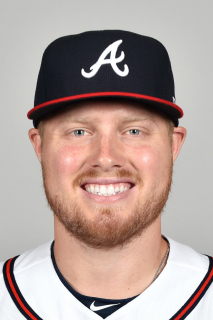 January 28, 2019 Atlanta Braves invited non-roster LHP Corbin Clouse to spring training. August 28, 2018 LHP Corbin Clouse assigned to Gwinnett Stripers from Florida Fire Frogs. August 26, 2018 LHP Corbin Clouse assigned to Florida Fire Frogs from Gwinnett Stripers. August 11, 2018 LHP Corbin Clouse assigned to Gwinnett Stripers from Mississippi Braves. March 3, 2018 LHP Corbin Clouse assigned to Atlanta Braves. July 19, 2017 LHP Corbin Clouse assigned to Mississippi Braves from Florida Fire Frogs. April 4, 2017 LHP Corbin Clouse assigned to Florida Fire Frogs from Rome Braves. July 9, 2016 LHP Corbin Clouse assigned to Rome Braves from Danville Braves. June 23, 2016 LHP Corbin Clouse assigned to Danville Braves. June 15, 2016 Atlanta Braves signed LHP Corbin Clouse.